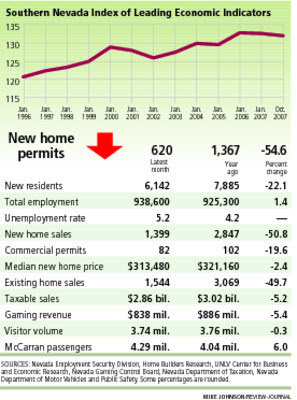 Southern Nevada's economic condition was revealed recently. Considering all of the hype and naysaying about the housing market, among other factors, the economy is very healthy. The predicted city growth based on projected employment needs will stimulate the city considerably in coming quarters. The housing correction will resolve at about the same time the huge projects around the strip as well as throughout the valley will be complete. It will be exciting to watch the next couple of years unfold. As Las Vegas real estate changes direction again, huge opportunities will be in place for those who have invested wisely.